Susan B. Anthony didn’t attend the Seneca Falls Convention, which issued a Declaration of Sentiments favoring women’s suffrage in 1848, but four years later, she realized the significance of securing the vote when she and an associate were barred from delivering a speech to the Sons of Temperance simply because they were women. If they couldn’t participate in a meeting where men and women agreed on the corrupting influences of alcohol, women needed to establish their own temperance groups. And they would need to secure voting rights to insure their voices wouldn’t be barred from any rooms, ever again. For the next 70 years, the two movements would support the other’s aims and would be linked, especially in the minds of men, who would decide the fate of both. By the time of Anthony’s death in 1906, a handful of states had approved some form of women’s suffrage, and a largely different group of states had approved varying degrees of prohibition on alcohol. Receiving support from different geographic areas and factions raised concerns that linking the two causes would damage the possibilities of success for both, but the growing Progressive movement found new reasons for suffrage and prohibition to be conjoined. Progressives wanted to eliminate corruption from politics. In the early 20th century, Progressives pushed through legislation protecting food safety, setting standards for public health, outlawing child labor, and increasing access to public education, all measures that impacted the home. In 1913, the 16th and 17th Amendments, both reflective of suffragist and prohibitionist sentiments, were ratified. The 16th established a federal income tax, and the 17th changed the method for selecting U.S. senators from the responsibility of state legislatures to popular votes. Both amendments aimed at weakening the power of the so-called “liquor trust” and the politicians who fell under its sway. Income tax collections could replace revenue generated by the excise alcohol tax, which accounted for 30 percent of all federal revenue. Popular election of senators would steal the influence of brewers and distillers, who regularly lobbied state legislators to hold prohibitionists at bay. With the influence of the liquor trust greatly hampered, women pushed Progressives to complete their transformation of American politics. Even before the founding of the Women’s Christian Temperance Union in 1874, women had decried not just the demoralizing effects of alcohol on the home, but the corrupting influence of alcohol—and, more precisely, the saloon—on politics. Political bosses and their “machines” plied would-be voters in saloons, which often served as polling locations. Women reminded Progressives that politics would never be clean so long as votes could be bought in the saloon. Men, who still held all the power to craft constitutional amendments—in the exclusively male world of Congress—and ratify them into existence—in the equally male-only world of state legislatures—understood they needed women to hold any changes in place. Prohibition would banish the liquor trust, and women, with votes in hand, would banish political machines. The 18th Amendment establishing Prohibition came first because it was viewed as easier to pass, with more than 80 percent of the nation’s population under some form of prohibition by 1919. The 18th also represented the final nail in the coffin of political corruption. It would be easy, but misleading, to suggest that suffrage was awarded as a fitting reward for women’s support of the Progressive agenda, and thus an idea whose time had come. The better explanation is that ratification of the 19th Amendment acknowledged that women, namely their votes and sensibilities, were needed to act as caretakers for the new political order, of which Prohibition was a significant part, and that women had done so much to foster. HUGH AMBROSE was a noted historian and was a consultant on the documentary Price for Peace, for which Steven Spielberg and Stephen Ambrose were the Executive Producers. He was a consultant to his father on his books, and served as the historical consultant on HBO’s The Pacific miniseries. Ambrose was also the former vice president of the National WWII Museum and led battlefield tours through Europe and along the Pacific Rim. He died in 2015. 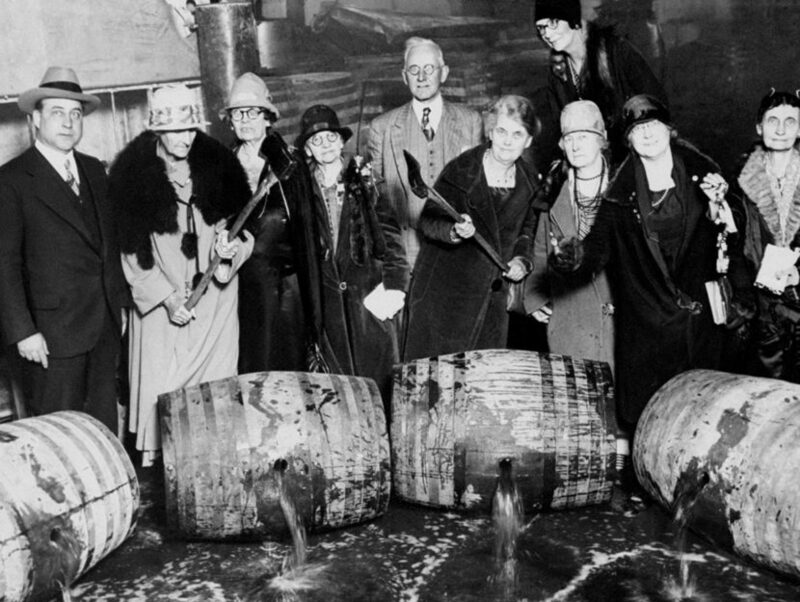 JOHN SCHUTTLER is the coauthor of Liberated Spirits: Two Women Who Battled Over Prohibition. He’s a consulting historian, researching and writing on numerous topics for dozens of clients in the public and private sectors.